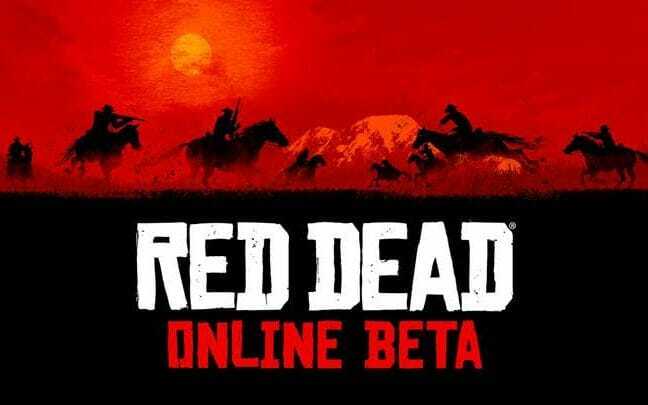 ‘Red Dead Online’ Release Date: Beta Coming Soon, What You Need To Know. RED DEAD Redemption 2 Online will start later this week, with the Red Dead Online release date confirmed for some earlier than others on PS4 and Xbox One. The Red Dead Redemption 2 Online beta will begin rolling out tomorrow, November 27 for some players on PS4 and Xbox One. While Rockstar Games themselves have not revealed this news yet on their official social platforms, reports are popping up online that Ultimate Edition owners will get first access. The development team are staggering the release on PS4 and Xbox One, probably to avoid the server troubles seen with GTA Online. For those who played the game on October 26, it appears that the Red Dead Online beta will begin on Wednesday, November 28. Thursday will see the Red Dead Online beta open up to anyone who played the game between October 26th and 29th. After this, the Red Dead 2 multiplayer mode will open to everyone on Friday, November 30. There has been no official public announcement shared by Rockstar Games yet, although, one is expected very soon. This information comes from The Verge, which shared the news online for PS4 and Xbox One fans. It will be worth keeping an eye on the official Rockstar Newswire over the coming hours to see if more information is shared. Red Dead Online is expected to use much of what made GTA Online popular, while also using new narrative experiences to fit with the Wild West setting. While we may not get the same detailed heists from GTA Online, there is no doubt Rockstar Games are working on something that will blend gameplay and narrative in multiplayer mode. Much remains shrouded in mystery when it comes to the Red Dead Online beta, although it appears someone has started playing it. It appears that a small group of PS4 and Xbox One gamers have access to Red Dead Redemption 2 Online. While not confirmed by Rockstar Games, fans believe they have found new evidence that suggests Red Dead Online is being played. Like most games, Red Dead Redemption 2 has a list of achievements and Trophies that can be unlocked on PS4 and Xbox One. And some of these are tied to the upcoming release of Red Dead Online. One of these is connected to completing an intro, named “Breakout,” which suggests players will get a tutorial of some kind. But the interesting thing is that it appears some people have now unlocked this achievement, in-game. There is a percentage listing shared next to each achievement which indicates how many people have completed it. This helps players discover just how rare pulling off one of these trophies is and comes with some other interesting information. Since launch, Breakout – completing the Red Dead Online intro – has sat at 0.00% on Xbox One and PS4. However, this number has now reportedly changed to 0.01%, suggesting that someone is testing Red Dead 2 Online on live servers. And this would suggest that the release date is set for later this week, perhaps earlier than first thought. “Red Dead Online is a new online connected experience set against the backdrop of Red Dead Redemption 2’s enormous open world.